Avidar, R. “Integrating Engagement, Interactivity and DOI to Better Understand Online Engagement.” International Communication Association (ICA 2018), Prague, Czech Republic, May 23-28, 2018. Ariel, Y., Elishar-Malka, V. Weimann-Saks, D., & Avidar, R. “Hybrid Media Systems During Election Campaigns: Challenging and Tracing the Question of “Who Sets the Agenda?” International Communication Association (ICA 2018) Pre-Conference, Prague, Czech Republic, May 23-28, 2018. Ariel, Y., Elishar-Malka, V. Weimann-Saks, D., & Avidar, R. “Too Close to Call: Hybrid Media System Approach to News Topics’ Salience during Election Campaign,” General Online Research (GOR), February 28 – March 2, 2018. Avidar, R., Weimann-Saks, D., Ariel, Y., Elishar-Malka, V. “Agenda-Setting Research Online: Unique Theoretical and Empirical Challenges.” #Amiretreat 2017: Journalism, Society and Politics in the Digital Media Era. Cyprus University of Technology, Limassol Cyprus, August 31-September 3, 2017. Ariel, Y., Weimann-Saks, D., Avidar, R., & Elishar-Malka, V. “Covering Elections in Multimedia Environment: Comparing Data from Traditional and New Media During the 2015 Israeli Elections.” #Amiretreat 2017: Journalism, Society and Politics in the Digital Media Era. Cyprus University of Technology, Limassol Cyprus, August 31-September 3, 2017. Avidar, R., Ariel, Y., Weimann-Saks, D., & Elishar-Malka, V. “Public Relations and Agenda-Setting Research in a Time of Convergence.” Barcelona International Critical PR Conference 7. Universitat Pompeu Fabra, Barcelona Spain, July 3-4, 2017. Ariel, Y., Malka, V., Weimann, S. D., & Avidar, R. “Researching Agenda-Setting Online: Theoretical and Empirical Challenges.” General Online Research (GOR) Berlin Germany, March 15-17, 2017. 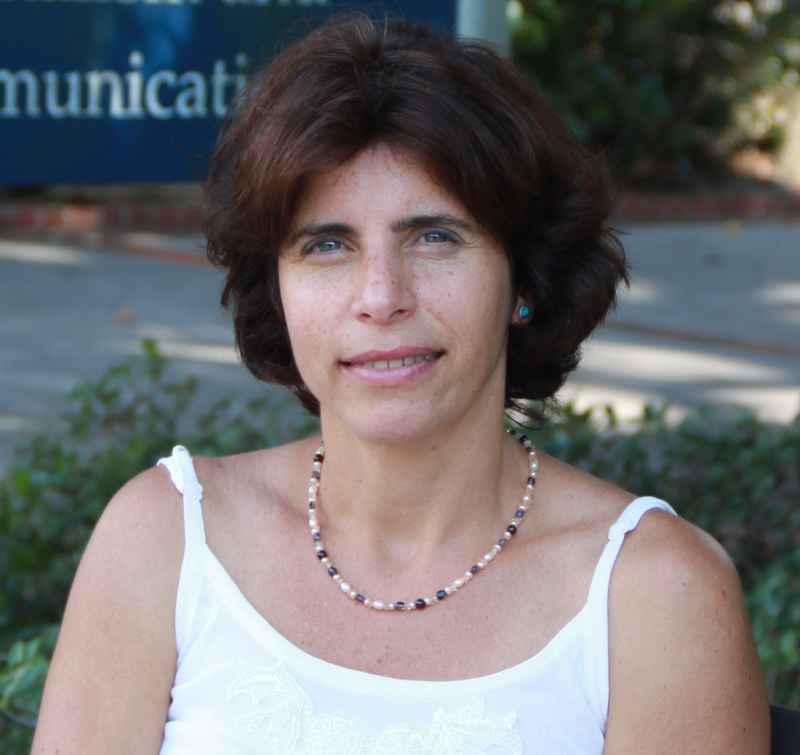 Ariel, Y., Avidar, R., Malka, V., & Weimann, S. D. “Analyzing Users and the Media Agenda Setting during the 2015 Israeli General Elections.” The annual conference of the International Association for Media & Communication Research (IAMCR 2016) Leicester, UK, July 27-31, 2016. Avidar, R. “Public relations and social businesses: Building engagement?” The 23rd International Public Relations Symposium Bledcom, Bled, Slovenia, July, 2016. Ariel, Y., Malka, V., Avidar, R., & Weimann, S. D. “Public Agenda 2.0: Comparing data from traditional and new media during the 2015 Israeli election.” General Online Research (GOR) Dresden Germany, March 2-4, 2016. Toledano, M., & Avidar, R. “PR Ethics as a matter of culture: A cross-national comparative study of PR practitioners’ attitudes to social media ethics in two countries”. EUPRERA. Oslo, Norway, October 1-3, 2015. Malka, V., Ariel, Y., & Avidar, R. “Users’ best friend during a national crisis? WhatsApp and its roles in the lives of Israeli citizens in wartime”. General Online Research (GOR) , Cologne, Germany, March 18-20, 2015. Avidar, R., Ariel, Y., Malka, V., & Levy, E.C. “Smartphones, Publics, and OPR: Do Publics Want to Engage?”.The 21st International Public Relations Symposium (BledCom). Bled, Slovenia. July 4-5 2014. Avidar, R. “Contributions to the theory of responsiveness and interactivity: Relational maintenance strategies in an online environment”. International Communication Association ICA 2014, Seattle, USA, May 22-26, 2014. Malka, V., Ariel, Y., Avidar, R., & Levy, E.C. “What‘s up in Whatsapp world? The role of a popular smartphone application in the lives of Israeli users”. The 16th International Conference of General Online Research, Cologne University of Applied Sciences. Cologne, Germany. March 5-7 2014. Ariel, Y., Malka, V., Avidar, R. & Levy E. C. “The Usability of Smartphones among Youngsters”. The annual conference for the International Association for Media & Communication Research (IAMCR) at Dublin City University, Dublin, Ireland 25th-29th June 2013. Avidar, R. “New media and online participation: The dialogic potential of the Internet and its actual utilization by businesses and nonprofit Associations”. IAMCR 2013, Dublin City University, Dublin, Ireland, June 24-29, 2013. Avidar, R., Ariel, Y., Malka, V., & Levy, E.C. “Smartphones and young publics: A new challenge for public relations practice and relationship building”. Bledcom 2013, Bled, Slovenia, June 14-15, 2013. Levy, E.C., Ariel, Y., Avidar, R., & Malka, V. “Young early smartphone adopters”. The 15th General Online Research 2013 (GOR13), Cooperative State University, Mannheim, Germany, March 4-6 2013. Avidar, R, “Do they keep their promises? Responsiveness rates of Israeli businesses and nonprofit associations”. The 13th annual International Public Relations Research Conference, Miami, Florida, USA, March, 2010. Avidar, R., “Israeli PR as a profession and an academic discipline”. The 1st symposium on Public Relations in the Mediterranean Area, University of Catania, Italy, November, 2009. Avidar, R., “Online public relations as a competitive development’s tool for Euro-Mediterranean companies: The case of Israeli PR”. The 1st symposium on Public Relations in the Mediterranean Area, University of Catania, Italy, November, 2009. Avidar, R., “From social responsibility to social media: Societal culture and Israeli public relations practice”. The 16th International Public Relations Symposium Bledcom, Bled, Slovenia, July, 2009. Avidar, R., & Ariel, Y. “Exploring interactivity and responsiveness divergence”. AOIR, Internet Research 9.0, Copenhagen, Denmark, October, 2008. Avidar, R. “Online responsiveness and interactivity in organizational public relations”. Doctoral colloquium AOIR, Internet Research 9.0, Copenhagen, Denmark, October, 2008. Avidar, R., “Opening and closing routines in bookstore encounters”. Pragma 99 International Pragmatics Conference on Pragmatics and Negotiation, Tel-Aviv University, June,1999. Avidar, R. “Sovrim Stika Im (rak) Tirtsu- On political NGOs and political online discourse in Israel,” The 23rd Conference of the Israel Communication Association. Hadassah Academic College, Jerusalem, April 16, 2019. Avidar, R. “More social or more business-like? The challenge of building reputation for hybrid-identity organizations,” The 23rd Conference of the Israel Communication Association. Hadassah Academic College, Jerusalem, April 16, 2019. Avidar, R., Ariel, Y., Elishar-Malka, V., & Weimann-Saks, D. “Online Imagery-Laden Narratives and Their Usage by Israeli Politicians as a PR Strategy to Win the Elections,” The 22nd Conference of the Israel Communication Association College of Management Academic Studies, April 2018. Ariel, Y., Weimann, S. D., Elishar-Malka, V.,& Avidar, R. “Challenges and dilemmas in online Agenda-Setting research: The relevancy of Agenda-Setting theory in the age of new media.” The 21st Conference of the Israel Communication Association Sapir Academic college, April 2017. Ariel, Y., Weimann, S. D., Elishar-Malka, V.,& Avidar, R. “TV, social networks and others: Public and communicational agenda setting during the 2015 Israeli elections.” The 20th Conference of the Israel Communication Association Kinneret Academic College, April 2016. Toledano, M., & Avidar, R. “Ethical challenges in new media, and the image of the PR profession.” The 20th Conference of the Israel Communication Association Kinneret Academic College, April 2016. Sela, I., & Avidar, R. (2015). “Online relationships: Universities, Colleges and relationship building with potential students in Israel”. The 19th Conference of the Israel Communication Association, The Open University, Rannana, April, 01, 2015. Malka, V., Ariel, Y., Avidar, R., & Levy, E.C. (2015). “Varrying functional equivalence among new and old media during times of emergency”. The 19th Conference of the Israel Communication Association, The Open University, Rannana, April, 01, 2015. Malka, V., Ariel, Y., Avidar, R., & Levy, E.C. (2015). “The role of Whatsapp in the lives of Israeli citizens in danger zones during operation ‘Protective Edge’”. The First Conference of the Science, Knowledge, and Technology Community, January 4, 2015, Bar-Ilan University. Malka, V., Ariel, Y., Avidar, R., & Levy, E.C. (2015). “Technology in a national crisis situation: WhatsApp and its role in ‘Protective Edge’ Operation”. Poster presented at the Research Center for Innovation in Learning Technologies 2015 (Chais Conference 2015), February 10-11 2015, The Open University, Raanana, Israel [*Hebrew]. Avidar, R., Ariel, Y., Malka, V., & Levy, E.C. “Smartphones: A new challenge for public relations and relationship building”. Presented at Public Relations: Between Academia and Profession. February, 20, 2014, The Open University, Raanana, Israel [*Hebrew]. Malka, V., Ariel, Y., Avidar, R., & Levy, E.C. (2014). The smartphone : Is he the student best friend? The smartphone in the lives of students in Israel’. Presented at the Research Center for Innovation in Learning Technologies 2014 (Chais Conference 2014), February 11-12 2013, The Open University, Raanana, Israel [*Hebrew]. Levy, E.C., Avidar, R., and Ariel, Y., “New and old media in the lens of interactivity”, Research Conference: Information and Knowledge. November 13, 2013, The University of Haifa, Haifa. Malka, V., Ariel, Y., Avidar, R., & Levy, E.C. “Mehubarim, the version of the Academia: The role of the smartphone in the lives of undergraduate students. The 9th Annual Conference of MEITAL: The World of Open Information-Elearning in Higher Education. The Hebrew University of Jerusalem, May 20, 2013. Avidar, R., “Zohek mi she-zohek aharon”: Self humor as an online public relations strategy. The 17th Conference of the Israel Communication Association, University of Bar-Ilan, March, 2013. Ariel, Y., Malka, V., Avidar, R., & Levy, E.C., “Smartphone usages: Patterns of young Israelis”. The First Israeli Human-Computer Interaction Research Conference (IsraHCI), The Interdisciplinary Center (IDC), Herzliya, Israel, January 15th, 2013. Avidar, R., “Thank you for approaching us: Organizational responsiveness to online inquiries as a dialogic element in public relations”. The 16th Conference of the Israel Communication Association, Tel-Aviv, April, 2012. Avidar, R.,& Rafaeli, S., “Do Israeli nonprofit associations use the Internet?” The 15th Conference of the Israel Communication Association, University of Haifa, April, 2011. Avidar, R., “Social media and organizational public relations”. The 15th Conference of the Israel Communication Association, University of Haifa, April, 2011. Avidar, R. Chair and Moderator of the paper session “Advertising, spokesmanship and public relations” ‘Communicating’: Student Research Conference, University of Haifa, December, 2010. Avidar, R., “Promises, promises: Responsiveness rates of Israeli businesses and nonprofit associations”. The 14th Conference of the Israel Communication Association, Herzliya, April, 2010. Avidar, R., & Ariel, Y., “Interactivity and responsiveness: Is there a place for confusion”? ‘Communicating’: Student Research Conference, University of Haifa, December, 2008. Avidar, R., “We thank you for your application: Online responsiveness and interactivity in organizational public relations”. The 2nd doctoral student conference of the Netvision Institute for Internet Studies, Tel Aviv University, 2008. Avidar, R., & Ariel, Y., “New media: Interactivity and responsiveness”. The 12th Conference of the Israel Communication Association, Tel-Aviv, April, 2008. Avidar, R., “Online responsiveness and interactivity in organizational public relations”. Poster presented at the Annual Research Affair of the Management School of Haifa University, Herzliya, 2008. Avidar, R., The importance of online responsiveness and interactivity for building relationships between organizations and publics. The 11th Conference of the Israel Communication Association, The Open University, Ra’anana, April, 2007. Avidar, R., “Viral technology for information diffusion”. The Center for Globalization, High Tech Development and R&D Policy, The Hebrew University of Jerusalem, 2001.